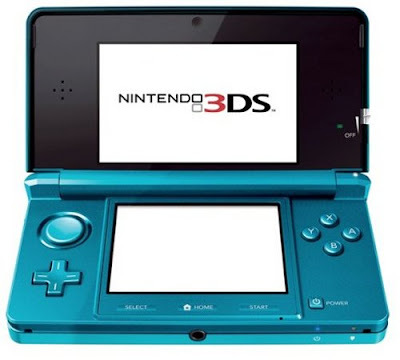 - "Now, we are focusing more on games for the 3DS – we want to release lots of games for it this year. The Legend of Zelda: Ocarina of Time will be released in June, Starfox this summer and Super Mario 3D, which is completely original, is coming this year. I am involved with these titles and Mario Kart." - "Starfox uses the gyro-sensor and the joystick; the combination is the key to its gameplay. Because it's 3D, you have the depth in the screen, so you can aim perfectly. When you have 3D on all the time and are using the gyro-sensor, it can be quite difficult to view it, but if you put it in 2D all the time, you would be missing some of the enjoyment, so I guess you have to adjust and find the best way for you to play. I have a tip: if you have an office chair with wheels on and an armchair, that's the ideal way to play games that use the gyro sensor." - "Super Mario 3D will be a combination of Super Mario Galaxy and Super Mario 64, although that doesn't exactly convey what it is like – if you play it at E3 you will see what I mean. For example, when floors are floating in space, in 2D, it's difficult to judge distances, but in 3D, it is easy to. If I tell you everything, I won't be able to talk about anything at E3. But the power-ups you mention are what you think you are. And you probably know what is going to happen using those characters already." - (The original Ocarina of Time release) "It ran at 20fps on the Nintendo64, but on the 3DS, it runs at 30fps, so there is extra smoothness of movement. The graphics, too, have been strengthened: you can feel the immersiveness of its world in 3D. Plus, the touchscreen lets you place items wherever you want them to be. In the original, it was really difficult, say, to change into your boots in the water dungeon, but now it's easy. And in the original, it could be confusing when, say, using the bow, whether you were supposed to push the stick up or down to aim it – but now we have the gyro-sensor on the 3DS, it's easy." - "I'm not really involved with Spot Pass – more with Street Pass. But there will be several software updates. As soon as the server is ready, it will be done. For Spot Pass, without you knowing, things like films will be coming to you. (This also includes) The browser and the eShop." - "Even if you download games via eShop, we will create games that are meaningful and valuable for the 3DS. We would like to create download games that are meaningful and always there with you. It's not that I'm dictating methods to the third parties: they need to be open to the eShop as well, but I'm speaking for Nintendo. The main software, we would create for packaged games. But if there are any meaningful ideas for download – if it was something that worked when it was always there [on the 3DS], then maybe. I think, for me, a download game would be something anyone could play and that is comfortable to play. So it's not really about forcing a game into the hardware." - "In the past, game design was all about which game was the best on the hardware that was available. That still holds true in the current world, but for the game designer, it's important to understand the overall system. Plus, it's important to understand all the mechanisms in games, otherwise the movement or the gameplay would not be right. If that is good, then it will be evaluated as a good game. But games nowadays are at a higher level, and the devices are higher-technology, so generally speaking, people can [and should] make good games. Nowadays, it's really important that the designer should be unique, and that their individuality should show through in the production itself. It's costly if you do something because other people are doing it, but the focus should be: 'Because people are not doing it, we'll go this way.' Uniqueness is important. Finance-wise, you can put more budget in, but your energy has to be focused on something, otherwise it won't work. For me, if you tell me, 'I've seen this before,' or 'I've done this before,' that's challenging." This is great news for all of the 3DS owners worldwide that are still waiting for something to play worth playing.